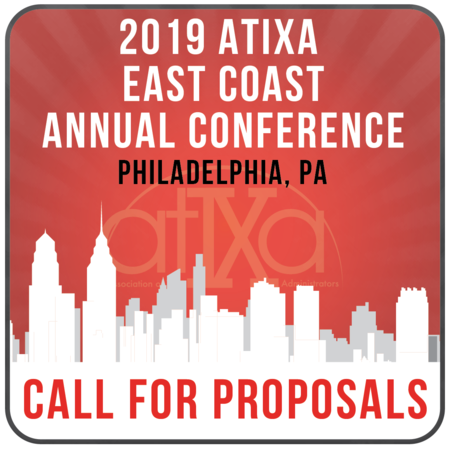 The ATIXA East Coast Annual Conference Committee is soliciting program proposals for its East Coast Annual Conference, to be held September 30th - October 3rd, 2019 in Philadelphia, Pennsylvania. • The Call for Programs closes on Monday, June 3rd, 2019 at 5:00pm EST. • Notifications of acceptance/rejection will go out electronically by Wednesday June 26th, 2019. Please use the form below to submit your proposal no later than 5:00pm Eastern time on Wednesday June 26th. • Concurrent sessions are 75 minutes long. • Co‐presented sessions are encouraged. • All presenters must register for and attend the conference. We do provide a code for the Early Bird reduced registration fees for presenters. There is no remote presentation option. • You need not be an ATIXA member to attend, nor present. • If accepted, presentation materials will be due on or before July 24th, 2019. • Presenters who plan to use their own laptop must provide any required accessories (e.g. adapters). • Speakers/audio equipment will not be provided. • Explain why your proposal is an important contribution to the field. • Have a point and articulate it clearly. • Know and reference research, guidance, best practice, cases, etc. • Tailor your proposal per the guidelines, time limit, and audience. • Include a descriptive title. By submitting this program proposal, I agree that any presentation materials will be submitted by July 24th, 2019 to be made available to attendees in advance of the conference. I agree that ATIXA is entitled to use and distribute these materials to members and conference attendees. All questions should be directed to the Conference Committee via email to conference@atixa.org. To reach the ATIXA office by phone, please call 610-644-7858. Visit https://atixa.org/events/2019-conference/ for more information. * 9. Are any presenters of this session ATIXA Members? 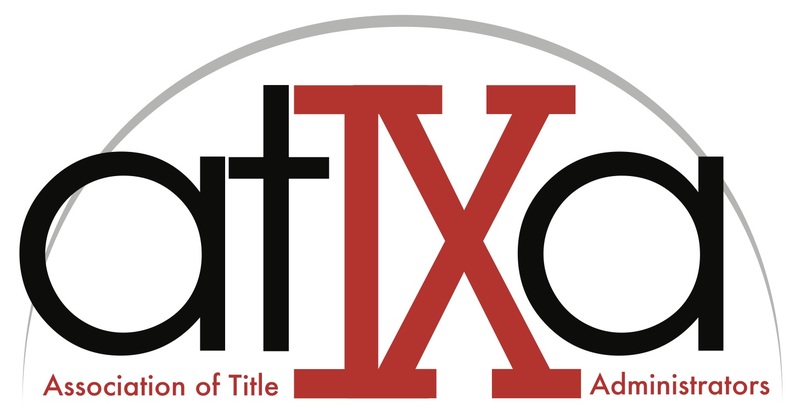 Thank you for taking the time to complete the Call for Programs for the 2019 East Coast ATIXA Annual Conference. Additionally, thank you for your time, energy, and expertise in the field of Title IX.